The Bodensee is located on the northern edge of the Alps, where the borders of Germany, Austria and Switzerland come together. With an area of 539 square kilometres, it is the third-largest inland lake in Central Europe. A particularly beautiful, 18-kilometre stretch of the shore in this ancient agricultural area belongs to Bavaria. In recent years a special effort has been made to preserve the countryside and keep the lake clean: it is also one of the largest drinking water reservoirs in the region. 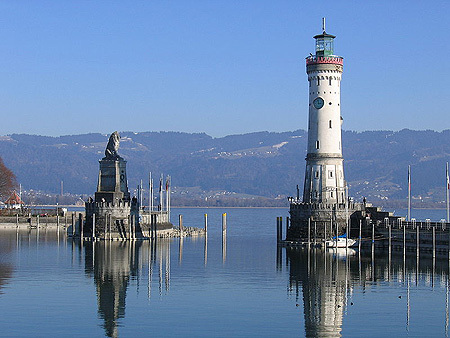 Historic towns such as Nonnenhorn, Wasserburg and Lindau with its town residences are among the attractions of this area. The Bodensee is also an ideal starting point for walks and mountain hikes in the nearby Allgäu, the Bregenzerwald in Austria and Appenzellerland in Switzerland. Car park on the "Hintere Insel"